It's funny, really, that I've been doing in-person policy advocacy lately. Personality inventories usually recommend I live in a cave by myself, and avoid selling real estate or doing any kind of political lobbying. So the fact that I've been lobbying on autism and vaccine policies anyhow demonstrates how much I care about both topics. Which is why I went to Congresswoman Jackie Speier's office today and talked with staffers including Samantha Roxas. Well, not the only reason. Last month, when Shot@Life sent me to talk about global vaccine policies with Senators Boxers and Feinstein's teams, they also sent me to Congresswoman Anna Eshoo's office. Which was a great meeting! Except I live 200 feet inside Rep. Speier's district. So I wanted to have a chance to talk with my own Rep's team. From my perspective, the meeting went well. I spend my days so deeply involved in autism and vaccine advocacy that it's sometimes hard to calibrate my information firehose appropriately. Fortunately the staffers were interested, and asked good questions. We need to focus on supporting the autistic people who are already here. My son is starting to use assistive technology to communicate, there are many autistic people whose unaddressed sensory needs interfere with daily living, we need better housing, education, employment. The CAA budget is too heavily focused on causation research. Most autistic people are not children; most autistic people are adults. And my own autistic son is already a teenager. We need to prioritize supports and resources for the autistic adults who are already here, who have always been here. Another way to focus less on causation research and more on supporting existing autistic people -- make the department administrating the IACC one already focused on the interests of autistic people, rather than one that tends to view autism as a disease and fund causation research. 4) Change the composition of the IACC to require that at least half of the public members be autistic people and to add representation by DOJ, NCD, HUD and other relevant service-oriented federal agencies. 5) Change the name of the Combating Autism Act to end the use of stigmatizing language. Some might dismiss this as quibbling over semantics, but I disagree. Language matters -- it influences thinking and attitudes. I don't want the government to tell people they should combat my son, or my autistic friends. Autistic people themselves don't like the language, either, and have started a #StopCombatingMe social media campaign. And then the meeting's focus shifted to my other priority, Global Vaccines. I told the staffers that I advocate for vaccines, in part, as penance for the harm the anti-vaccine autism contingent causes with regards to public health, global health, and autistic people like my son. We talked a bit about how it's reasonable to ask questions about vaccines and autism, but how frustrating it is when people won't accept the answer that vaccines do not cause autism. About how hard it is to unscare people who fell for lazy media vaccine-autism fear mongering, and how silly it is for anti-vaccine blowhard Jenny McCarthy to pretend she bears no responsibility for the current outbreaks of vaccine preventable disease. 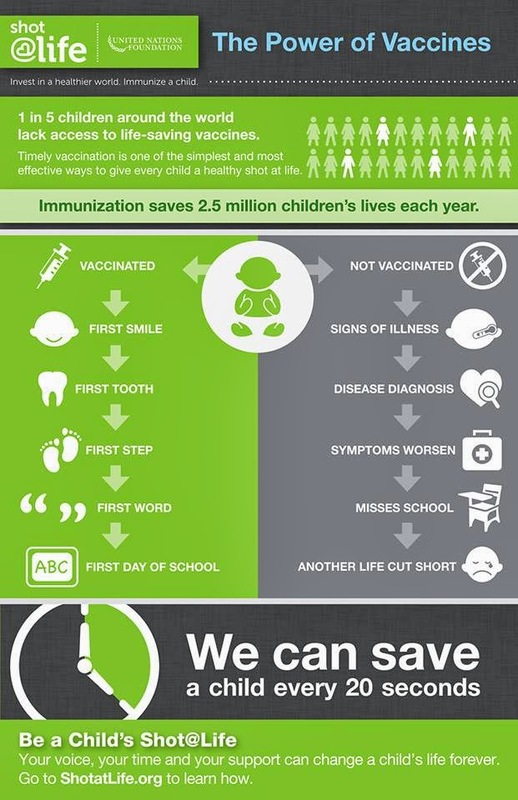 A child dies every 20 seconds from vaccine preventable disease. Emphasis on preventable. Vaccines are a low-cost and effective way for the US to continue its tradition of international goodwill and support, in the best way possible -- by helping to save lives. Vaccine uptake in our country has been reduced, mostly due to irresponsible stoking of false autism/vaccine concerns. All those unvaccinated kids have no protection against vaccine preventable disease -- as recent measles outbreaks have demonstrated. If we help eliminate vaccine-preventable diseases in other countries, that helps protect American children whose misinformed parents are putting them at risk. The cost of vaccinations are so, so much less than the cost of treating a person who has a vaccine-preventable disease -- it costs $20 to vaccinate a child against polio, pneumonia, measles, and diarrhea, but can cost $100 to treat a child who contracts those diseases. The conversation ended with warm affirmatives all 'round and me unable to keep in a "yay!" which I am guessing is not how many congressional staff meetings conclude. Again, I am not a professional lobbyist. But I did feel I made a difference. Please believe me: if I can lobby, you can, too. Shot@Life has Global Vaccine Advocacy Guidelines, ASAN has guidelines for joining its #StopCombatingMe campaign. You don't have to meet with anyone in person if you don't want to -- you can write, donate, tweet, call, and just plain agitate. So, what are you waiting for? Shannon, you are quite genuinely a hero of mine. Before I started reading your blogs, I literally did not think it was possible to find an autism parent that viewed us as people. You've helped me get a little faith back in humanity. You keep doing what you're doing.